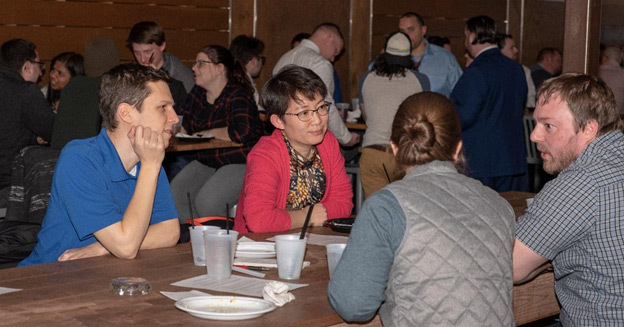 On March 26th IQ Inc. held its first ever Tech Trivia at Mario’s East Side Saloon in Shadyside. Food, drinks, and a great time was had by all of the 50+ attendees. Trivia questions spanned different genres from coding, to agile methodology, to pop culture. The purpose of the event was to showcase the incredible culture we strive to create on a daily basis via a fun tech-centric event outside of the office. Our next Tech Trivia is slated to happen in June and we hope to see everyone there!